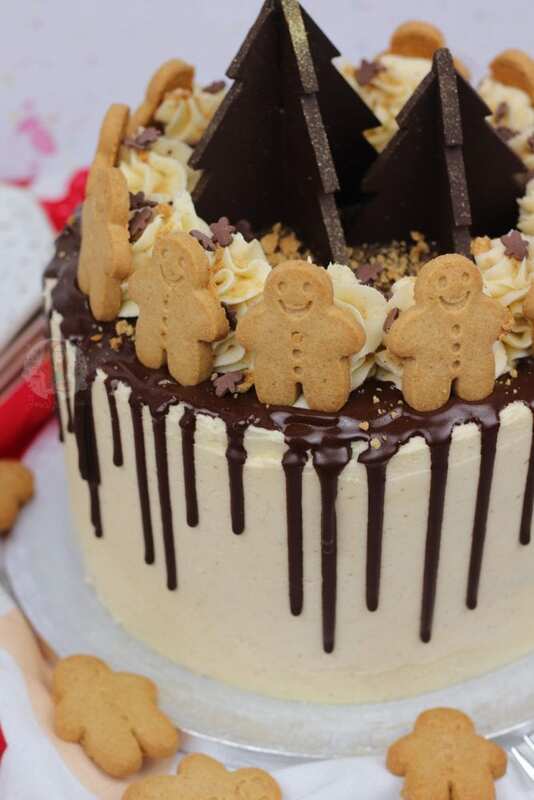 A Three-Layer Gingerbread Drip Cake with Gingerbread Sponges, Gingerbread Buttercream Frosting, and all sorts! 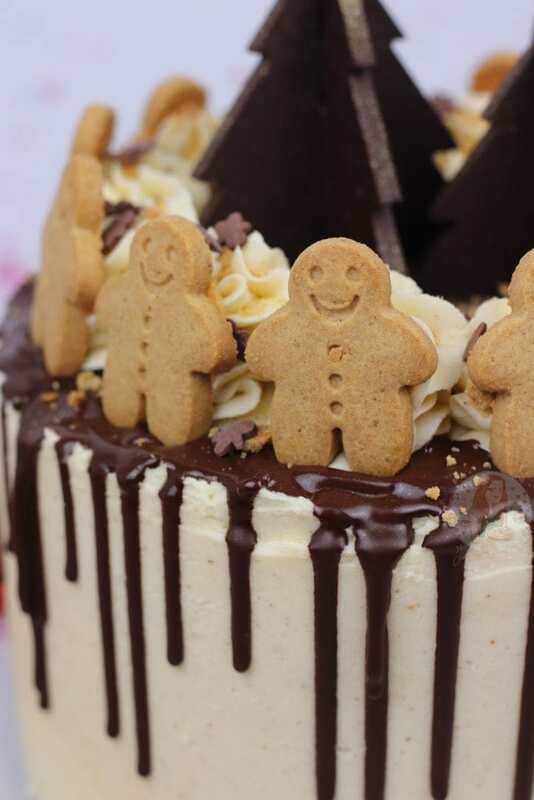 Oh, heyyyyy, the ULTIMATE Gingerbread Christmas Showstopper of all Cakes! 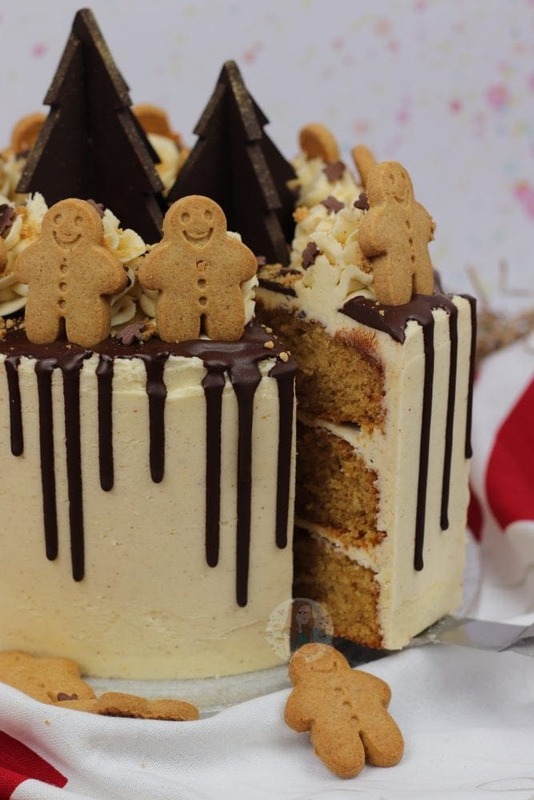 This utterly gorgeous Gingerbread Dripcake with beautiful Gingerbread flavoured sponges, and gingerbread flavoured buttercream frosting, and all the delicious extras like Chocolate Ginger Christmas Trees, and a Chocolate Drip. Has this description caught your attention? It should have. It’s INSANE. Anyway. I wanted to do a Drip Cake this year, which was as Christmassy as you can get, and I had so many ideas. Of course, those ideas were a tad too elaborate, or just not something that I fancied doing. 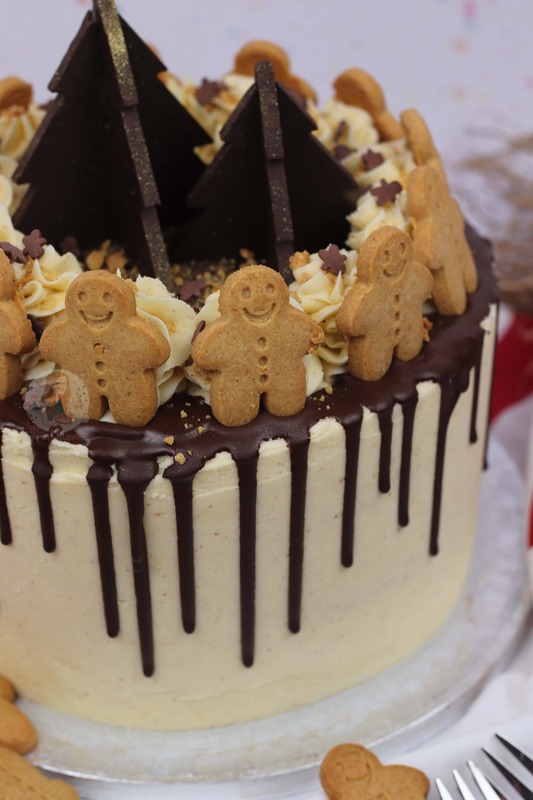 However, all Gingerbread recipes have ended up being the most popular things ever on my blog this year, I thought why not do a Gingerbread Drip Cake?! Two birds with one stone and all that. 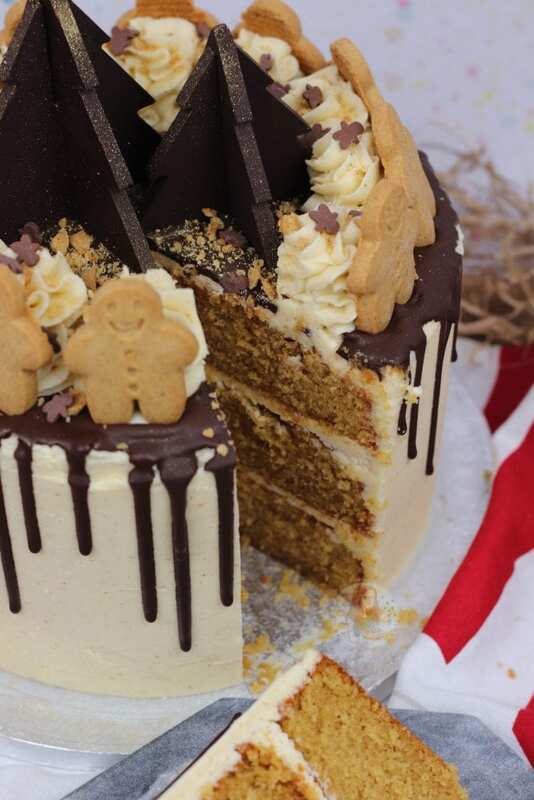 I do have a DELICIOUS Gingerbread Cake recipe on here, and its epic. However, it’s not the easiest of cakes, and it’s so rich and perfect as it is. I wanted to make a simpler sponge, such as my other Drip cakes have, but Gingerbread flavoured. I went for a Victoria Sponge style cake, with Dark Brown Sugar to get a slightly more ‘Treacle’ like taste. Then, with the added spices of Ground Ginger, Cinnamon and Nutmeg in, you had a winner. For the Buttercream Frosting, I decided to go for all things spicy as well. Ground Ginger, Cinnamon and Nutmeg again. You can add in All Spice to the Cake or the Frosting, but I didn’t have any, and it tasted grand without it. The best way to make Buttercream is just regular, normal, Unsalted Butter that comes wrapped in foil. The kind that is rock solid when you buy it as its cold, but is great at room temperature! When I did my yearly festive order from Iced Jems for all things Christmas themed, she had some BEAUTIFUL Gingerbread Sprinkles that I just couldn’t resist using on the decoration, just look at them! They’re so cute and so mini and I love them all. Anything cute and I am THERE. Honestly though, who knew Sprinkles could be so darn cute?! The 3D Christmas Tree moulds are probably one of my favourite things I have ever bought from Iced Jems, because just look at them. I realise, they may look a little out of place in the Gingerbread world, but I flavoured the chocolate itself with Ground Ginger and then spritzed them with Edible Glitter. I wanted to make my cake a little bit more special, and I feel like it worked well. 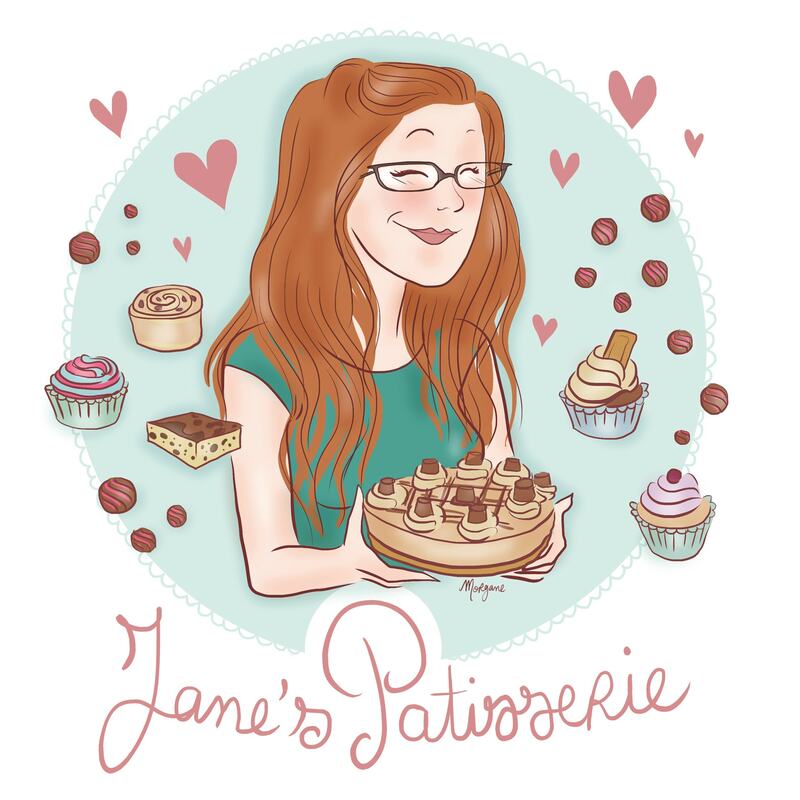 I often get comments about how I get my cakes so flat, and often it’s just baking the cake. I realise this sounds like a bit of an odd thing to say, but it really is! Personally, I don’t line the sides of my tins as I can’t be bothered, and the cakes aren’t too deep. I also just use cheap tins from Asda for my sponges, and then if they are a bit domed after baking, I cool them upside down on a wire rack. 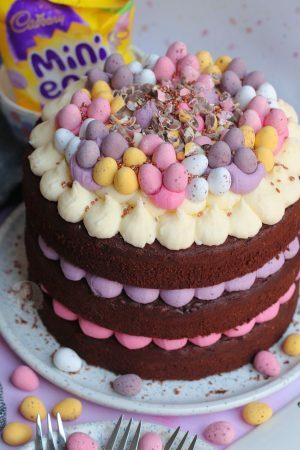 I never believe in cutting cake off to make them flat, and at the same time, I’ve never tried anything like baking strips because it is possible to get flatter cakes. If you have a giant dome in the middle, or it sinks, you have messed up an ingredient or two, or messed with the oven slightly. 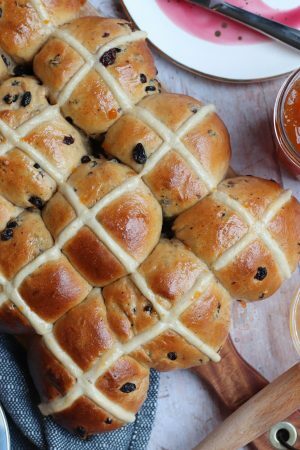 Using Dark Brown Sugar or Light Brown Sugar make the sponges slightly differently textured in my opinion, and it often helps for a flatter bake as well! As you can probably tell from the images, I just used shop bought Mini Gingerbread Men because I definitely didn’t have the time or momentum inside to bake these myself this time. 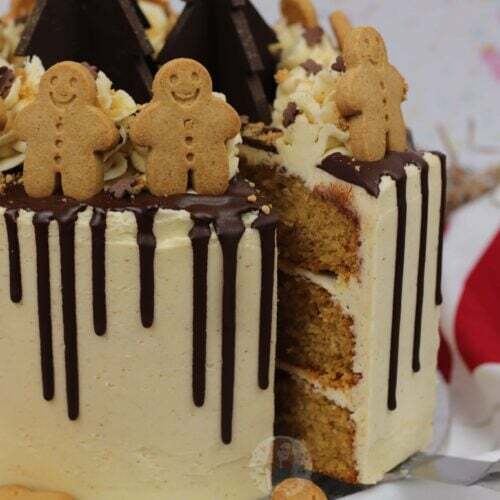 I don’t think there is anything wrong in this, because often making a Homemade Gingerbread Men recipe, it can be delicious, but you make far too many for just one cake! Also, the shop bought Gingerbread men are cute and perfectly sized. The absolute key star of creating this recipe, however, is a cake scraper. Honestly, my life was saved when using these to make Drup Cakes. Using a scraper makes life SO MUCH EASIER when smoothing the edges all at once. You can use an angled spatula like this if you want, but you won’t get as neat a finish as I have. However, I do use the angled spatula to help me put the buttercream on in the first place. Preheat your oven to 180C/160C Fan, and line three 20cm/8" tins with parchment paper. Add in your Flour, Eggs, and Spices! Beat till smooth and yummy. Leave to cool in the tin for 10 minutes, and then on a wire rack to cool fully. Beat your Butter till smooth and supple. Add in the Vanilla Extract, and the Spices, and beat in. Gradually add in the Icing Sugar and beat again till smooth! If it's really too stiff, add in 1tbsp boiling water at a time till you get your desired consistency. However, make sure to beat the ingredients for at least five minutes first as it doesn't always need it! 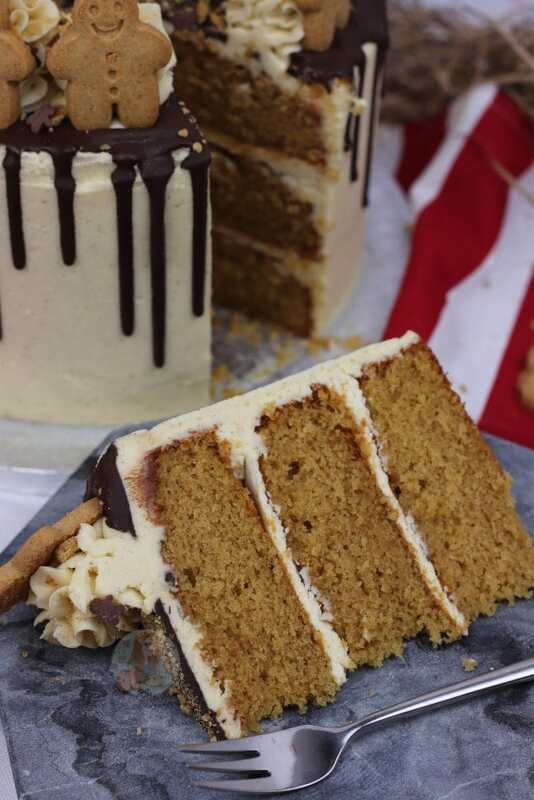 Get your first sponge on a board and secure with a smidge of the Buttercream underneath. Add on 1-2tbsp of Buttercream and smooth over. Add on the second sponge and repeat, and then add on the third sponge. Smother the sides and top in a thin layer of buttercream to seal it and make the edges smooth, and leave to sit at room temperature for 30 minutes or 10 minutes in the fridge. Once dried/set, you have done your crumb coat. Add on more buttercream all over the cake, and smooth round with a large cake scraper, and keep any you scrape off. Melt your 100g of Dark Chocolate for the Drip, and mix in the Oil if using. 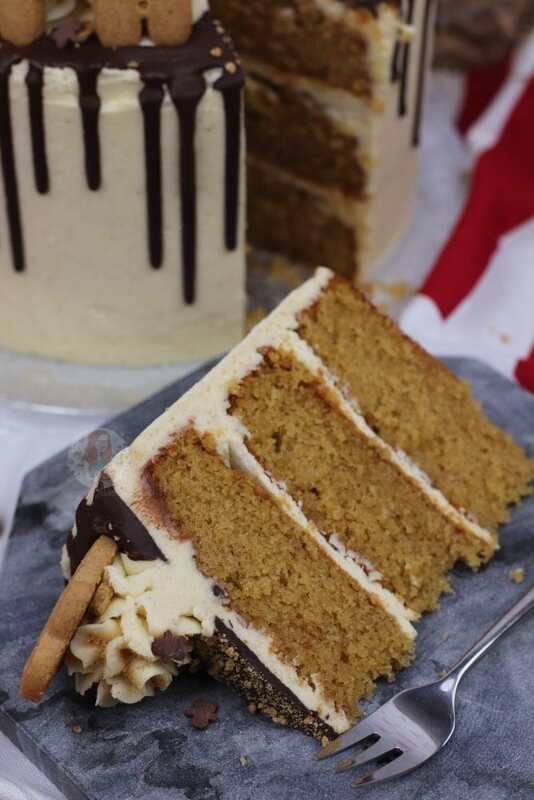 Carefully drip down the sides of the cake with a small disposable piping bag with the end snipped off. Leave the Drip to set for 10 minutes or so. Whilst the Drip is setting, make any extra decorations if using - I used 100g of Dark Chocolate mixed with 1tsp of Ground Ginger melted together and set in a Christmas Tree shape mould in the fridge till solid. 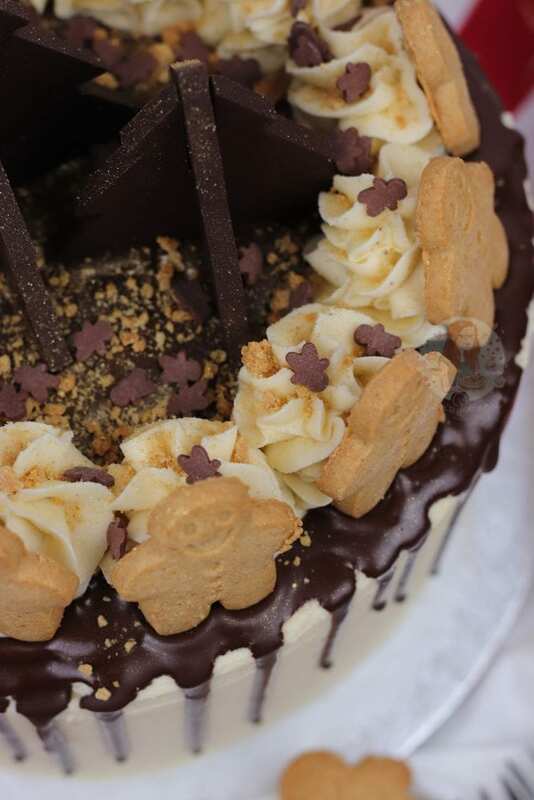 Once the Drip is set, pipe on your leftover Buttercream in swirls using your favourite piping tip, and add a Gingerbread Man per swirl. 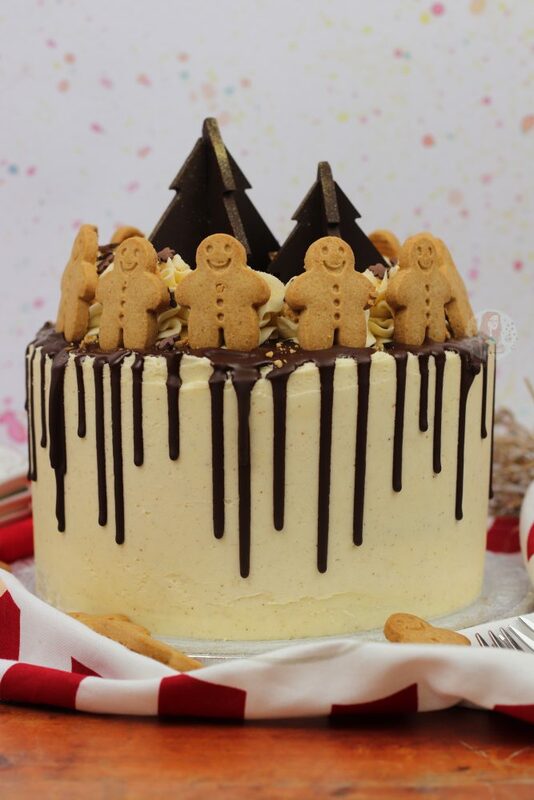 Also, sprinkle on your favourite Christmas Sprinkles, and add your Chocolate Ginger Christmas Trees to the centre. Spritz with Edible Glitter, and enjoy! This cake will last for 3-4 days, at room temperature. It doesn't need to keep in the fridge. The sponges can be made the day before if wrapped in clingfilm overnight. The Cinnamon and Nutmeg are optional, but enhance the Ginger flavour! 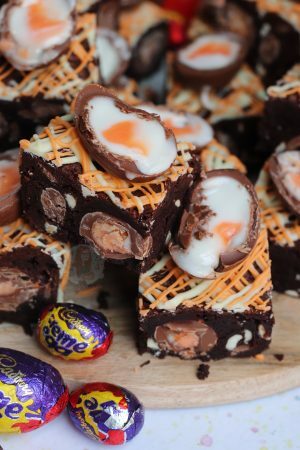 I wouldn't recommend Milk Chocolate for the drip as it can often be too thin and look watery, but if you do, don't add anything to it. Do not use a spread/stork for the Buttercream, it'll be too runny. Older Next post: Tear & Share Christmas Tree Cupcakes! 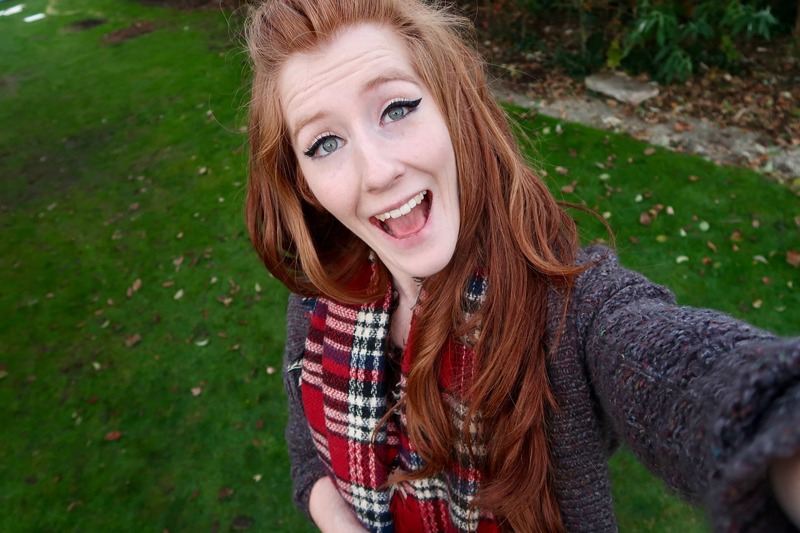 Newer Previous post: Whittards at Christmas! It’s a very deep cake in the 8″ so you could probably get away with halving it and splitting between two 6″ tins!